This article, written by StFXAUT Communications Officer Philip Girvan, appeared in the Winter 2018 edition of The Beacon. The Antigonish Emergency Fuel Fund (AEFF) offers emergency financial support to individuals and households living on low incomes that are unable to pay the full cost of heating their homes during the winter season. As its name implies, the AEFF is a response to situations where people living on low incomes in the Town and County of Antigonish face an imminent threat of losing heat. This could include receiving a disconnection notice from the electric utility or running out of heating oil or wood. Applications are made through the Antigonish Women’s Resource Centre. Growing concern around the issue of Heat Poverty led to the organization of a community-based Heat Poverty Initiative in Antigonish in September 2008. A committee was formed and the AEFF was launched on January 5, 2009. AEFF clientele are among the Town and County of Antigonish’s poorest households. Approximately 400 households, representing 1300 people in Antigonish Town & County, report an annual income of less than $15,000. Half of the people are children. Last winter, the AEFF was able to assist 75 households. An $1,800 contribution from the StFXAUT to the AEFF was used to pre-order six loads of wood ($300/load) for households seeking help with firewood. The timely donation of these funds ensured that the wood was removed from the woods before snow-fall and was dry when delivered. Mike MacDonald, AEFF President communicated to The Beacon that the AEFF “welcomes the StFXAUT as a major sponsor, joining the Town, County, Sisters of St. Martha, and the East Coast Credit Union”. To learn more about the AEFF, including how to donate, please call Mike MacDonald at (902) 863-8737. To apply for help, please call (902) 863-6221. 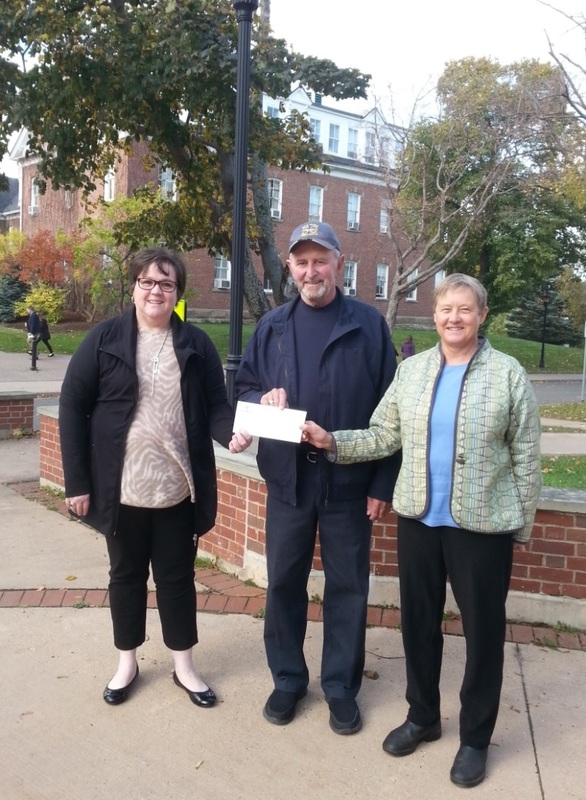 This entry was posted in News and tagged antigonish, community, contribution, donation, fuel, fund, poverty, stfxaut. Bookmark the permalink. Both comments and trackbacks are currently closed.